Apostrophe Catastrophes: Call the Apostrophe Police! 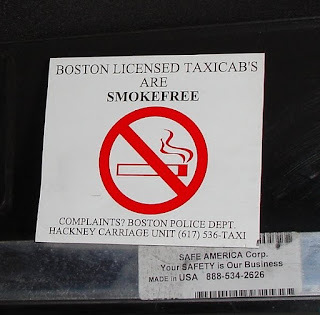 This sign from the Boston Police Department, which features an apostrophe catastrophe, made me so mad that I almost lit a cigarette as a protest. And I don't even smoke! Perhaps I'll call the Hackney Carriage Unit to complain that the police don't know how to use proper punctuation. What I hate equally so, Gorgeous, is DVD's instead of DVDs. I mean, people who are apparently smart enough to run a business make such an annoying mistake. It's also like a sign advertising a sale with "On Sale Everyday" instead of "On Sale Every Day". Ugh!